Long before the enigma of professional wrestling had swept over the country with names like Great Khali and Jinder Mahal representing Indian aspirations, Dara Singh Randhawa was already a household name for his wrestling skills and his successful acting stint. Widely regarded as India’s first action film hero, Singh had not only made his mark in the country but also bagged many titles internationally. Dara Singh’s ideas and messages are still relevant in current times. We spoke to the comic artist George Freeman who has worked on the recent Dara Singh Comics to know more. What made you come up with this idea (The great Dara Singh Comic)? I noticed health issues and the epidemic of drugs in youth, especially in Punjab where Dara Singh was born. There is a lot of ground to cover. I hope this comic will spread the message of staying healthy. Additionally, this comic will serve as a reminder of his previous titles like Ironman and Rustom-e-hind, Dara Singh – The Great World Wrestler. Even World Wrestling Federation has honoured him in the hall of fame. This comic will furnish an understanding in the kids as to how we can all be a real-life superhero just like him. Imagine yourself as a six feet three inches tall man with great power, no one would mess with that. Please tell us about your journey as an artist. I completed my MFA (Masters of fine art) from College of art Chandigarh. 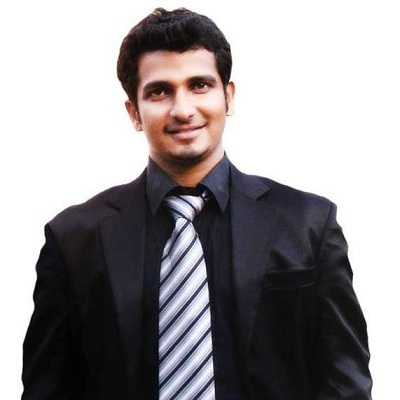 I have worked at www.santabanta.com, a well-known global entertainment portal. I have also been involved in making caricatures, comics strips and designing flash games. Then I designed a comic on the life of Hari Singh Nalwa ( Sikh General ). I worked with Probity Comic as a creative director and illustrated six additions of Graphics, the novel on the life of Shri. Guru Nanak Dev Ji. I have been working as a freelancer for 13 years. 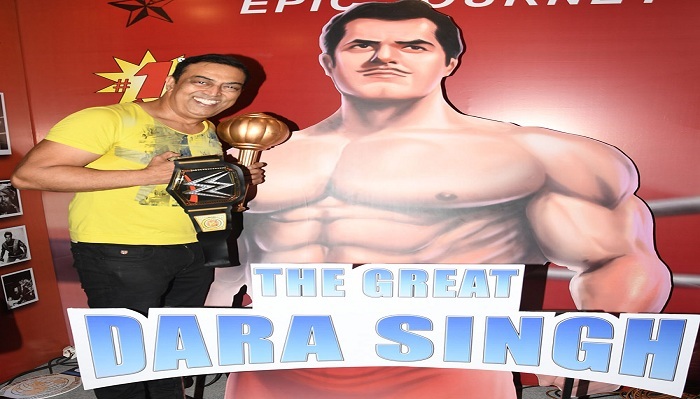 How do you think The Dara Singh Comic will strike a chord the readers of this generation? First of all, the story of Dara Singh is very adventurous and inspiring. I have illustrated his life story, his journey in the form of a comic. I strongly believe this project is as important as any other plus we should not forget that every subject can be made interesting, all it requires is hard work to justify it. The comic will strike well this generation because I think, if the artwork is done with passion, technique and style then it will always create a trend in every generation. This can also lead to a great business aspect. But usually, people tend to do the opposite of it and face the consequences. Vindu Dara Singh Sir is also working on a feature film regarding Dara Singh’s life. I’m sure this will make a strong impression on the reader’s mind and the generations to come. Dara Singh was a well-known personality whom we wish to commemorate through our artwork. Amidst numerous Western Superheroes that we often hear of, we should always remember the first ever Indian Superhero that made our country proud. We have seen the cover pictures and a few pages. The artwork looks great. How long did this project take? Normally I design a comic in two months but the kind of detailing which has gone into this project….it took me a year to complete it. There were many obstacles during the project. It was a tough job, I haven’t slept properly for eight months over the course of this project. Dara Singh’s son Vindu Singh has been supporting you all through the project. Did you take references of his personal anecdotes for the stories? Yes, Vindu Sir helped us a lot, it’s like we would not be able to complete this project without his support and input in the story of Dara Singh. In fact, there were so many fans of Dara Singh that not only contacted him but also gave full support. They also sponsored the comic so that their kids could know about Dara Singh, his health, exercise and discipline in life. Vindu Sir wanted his father’s name to be immortal and we are trying our best to fulfill his wish. Could you tell us a bit about your body of work and what sort of projects are in the pipeline that you can tell us about? Well, currently I am working on this project i.e Dara Singh. In future I wish to take the graphics to the next level, I want to make it more photo-realistic graphics in comic form. What’s the estimated budget of this Dara Singh Comicbook? Sorry that I cannot disclose. Could you give us an estimate as to how many copies have been sold so far? Well during the comic con festival 2018, people were buying comics for their fathers, grandfathers. we made a decent sale but I don’t have specific numbers to tell. Maybe once the comics go online I will tell you. We hope the efflorescence of his message pervades across the country and beyond. We can all take a leaf from his life stories. We can’t wait for the next edition.